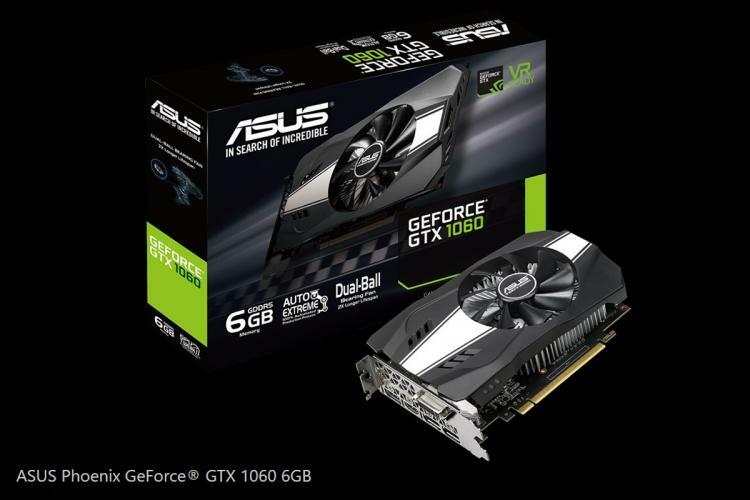 ASUS adds a new GeForce GTX 1060 graphics card model featuring a compact small-form-factor size with a larger 6GB memory – the ASUS Phoenix GeForce GTX 1060 6GB (PH-GTX1060-6G). The smaller and more compact size makes it ideal for compact gaming PCs. The Phoenix GTX 1060 uses a single dual-ball bearing fan that offers twice the lifespan of a typical cooling fan. The fan also runs smoother and quieter thus improving lifespan and cooling efficiency at the same time. - Dual-ball Bearing Fan reduces spinning friction for 2X longer lifespan and cooling efficiency. No information on pricing and availability as of this moment. For more information on ASUS Phoenix GeForce GTX 1060 6GB (PH-GTX1060-6G), visit the product page here.